They say that it’s not until you can understand jokes in a foreign tongue that you can say you truly speak the language. 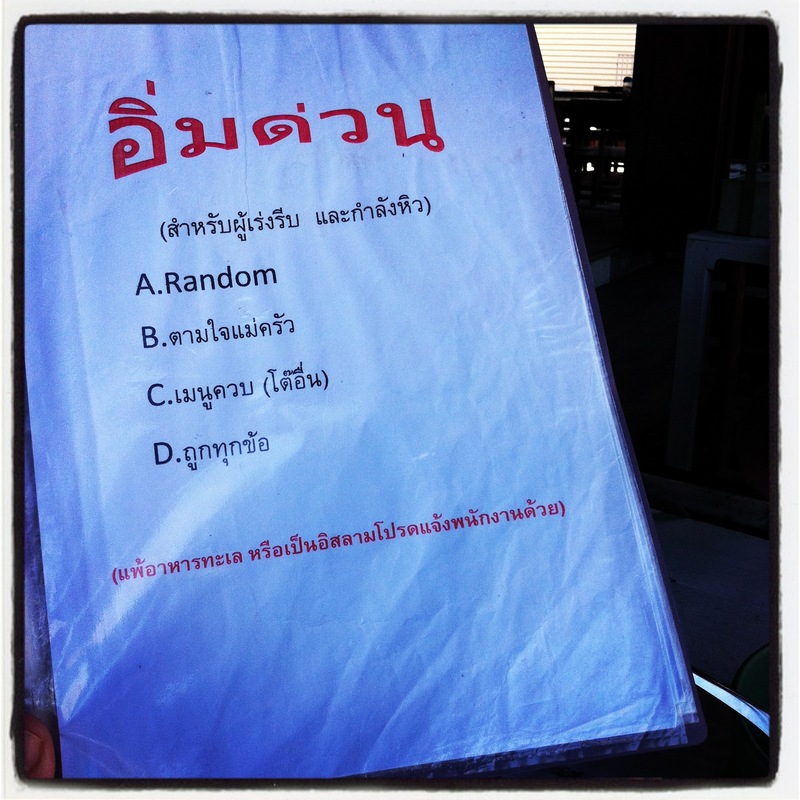 Sometimes it can be a tricky business choosing what to eat at a ตามสั่ง restaurant. When the possibilities are almost infinite, and when a the menus can give Encyclopedia Britannica a run for its money, quick culinary decisions do not always feature. However, a ตามสั่ง place just down the road from us (called ปากอ้า) has thought of a novel way to help diners pressed for time with the page shown above in their menu. Thailand continues to suffer its worst flooding disaster in decades. We have been homeless for two weeks now having fled the inundation at our home in Bang Bua Thong, and while we move from temporary home to temporary home, no immediate end is in sight. While the events have been terribly difficult physically and emotionally, the key thing that has taken the sting out of the experience has been the overwhelming kindness of friends and strangers throughout. From the people who helped us to evacuate, to those who put us up in their houses, the words and offers of support from people in the Twitterverse (some we know and some we don’t), to the sympathetic Thai smiles of the people we meet along the way, all have helped make this less of a trauma than it might have been. Often this has come from people who have had it much worse than us. Every good event needs a good song, and Thailand’s Music for Life superstar Ad Carabao has not shirked this responsibility one iota. Playing on the TV in fairly solid rotation, accompanied by images of the flooding, harrowing and heartening by turn, is น้ำใจไทย (Thai Kindness). Its title takes advantage of the word play between the Thai word for kindness (น้ำใจ heart water) with that for flood (น้ำทวม). It exemplifies the kindness and spirit that we have found so priceless. Look through the key vocab and tricky words, listen to the song and follow along with the lyrics below. Rollover translations as usual. The flooding in Thailand continues. It’s truly terrifying to be in it. 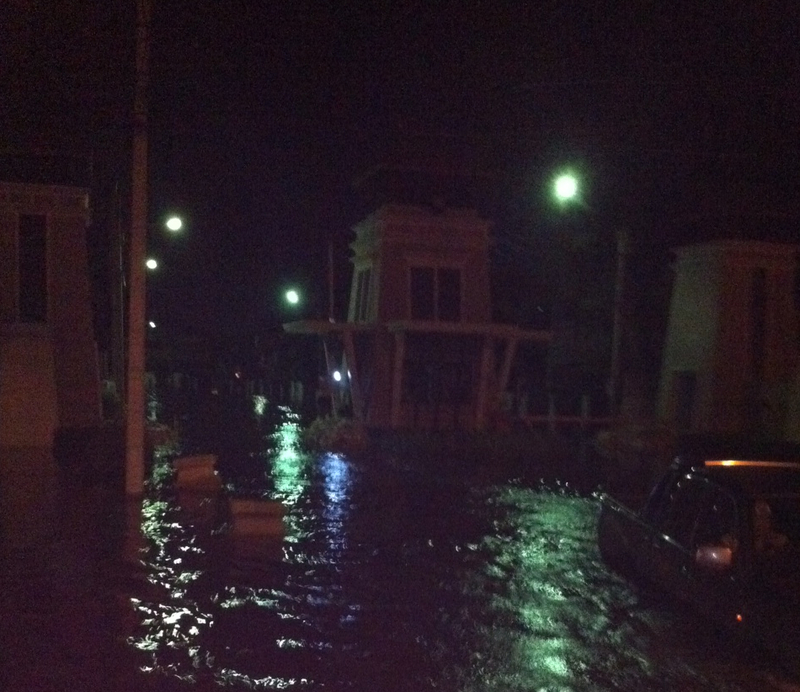 Last night my family and I were evacuated from an inundated Bang Bua Thong, north of Bangkok. 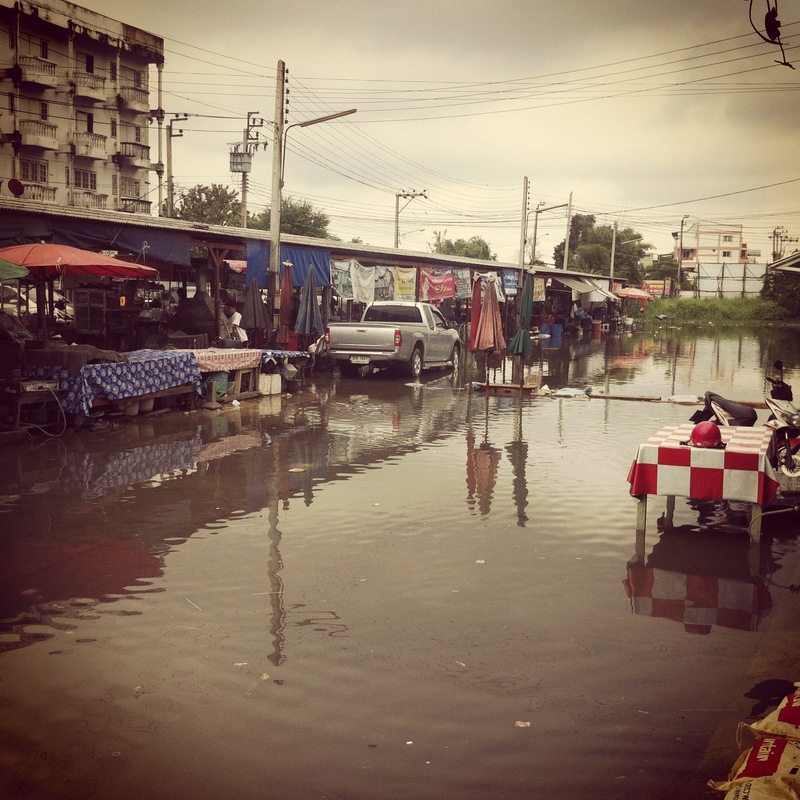 In the middle of the night water began to seep into our หมู่บ้าน and by late afternoon it was clear that we had to get out or face inestimable consequences. We packed up a bag of essentials, mostly food and clothes for our eight month old daughter, waded out in the dark and luckily managed to hitch a lift on a flat-bed lorry, one of the few vehicles able to make it through the metre high water on the main highway out of the district. As I type all I can think about are the people who are still there. There is a website set up for people to call for help. It makes for quite harrowing reading, but it’s important that if you can understand it and you can help that you do. If you can’t that’s ok, it opens a real eye on what the people of Central Thailand are experiencing. And with knowledge comes understanding. Rollover translations as usual but no audio this time. วันที่แจ้ง : 17 ตุลาคม 2554 เวลา 09.46 น. วันที่แจ้ง : 17 ตุลาคม 2554 เวลา 09.45 น. If you didn’t know it is flooding in Thailand at the moment, then you are clearly not paying attention. One thing that you might not know though is exactly where and what the risks are. And you wouldn’t be alone. If one thing, apart from its sheer scale, has been a feature of this catastrophe it’s been the confusion over just what the status of the inundation is. With various conflicting reports coming from all angles – not just social media but within and between governmental departments – it’s been hard to know how well informed we all are. In terms of communication and coordination, things looks like they’re improving. But if you’re still confused, maybe the reports of the water levels in the Chao Praya in front of the Navy HQ will go some way to clarifying the picture. The reading below is taken from the daily summaries of these water levels. Check out the key vocab and tricky words then give the reading a go. Audio file of the summary and rollover translation of the text as usual. Stay dry people. Click to hear the excerpt read. No need for a separate vocab list for this one, I feel. Rollover translations as usual. 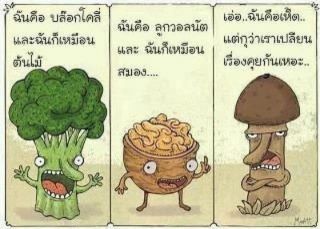 Thanks to @womenlearnthai for pointing this one out. Summer is usually known as ‘silly season’ in news circles as it tends to be a time when, while parliament is closed and all the MPs are on holiday, frivolous stories make the headlines for want of any serious news. Not so this year. Kicking off with the News of the World hacking scandal, the impending financial meltdown of Europe, and now the rioting in the UK, journalists will have to keep those stories of a cat that got stuck in a tree and the bloke who ate too many pies for another day. The Thai news is on top of it of course. Especially given the resonance that the looting of Thai owned businesses and the potential delay to the start of the new Premier League season will have for many Thai observers. Below is an excerpt from M-Thai news about the fourth day of the riots. Key vocab and tricky words is given first, then the reading with rollover translations and audio file as usual. Original article from M-Thai here. For some more listening practice, check out this MCOT tv report. Have you ever seen an elephant? See 'About' for attribution information.